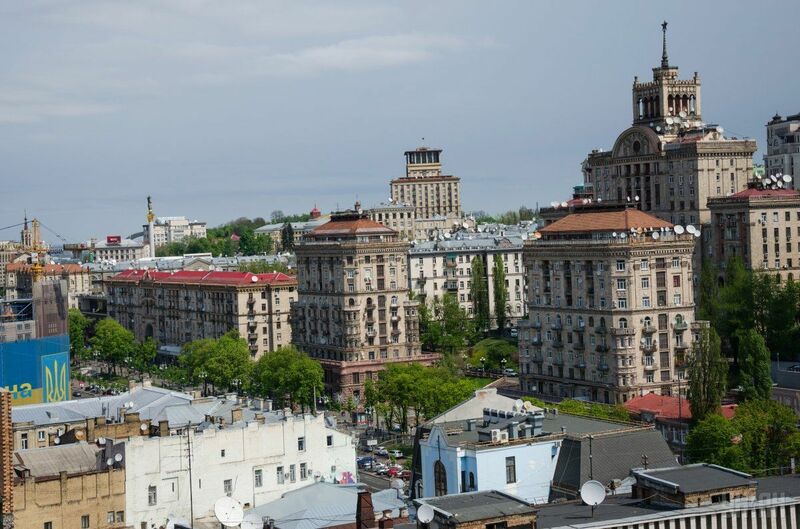 The agency also downgraded the city's National Long-Term rating to 'BB+(ukr)' from 'BBB(ukr)' with negative outlook, Fitch said in a statement. Kyiv's domestic senior debt ratings were downgraded to 'CC'/'BB+(ukr)' from 'CCC'/'BBB(ukr)'. Fitch says that the downgrade of Kyiv's IDRs follows the city's decision to extend the maturities of domestic bonds (series G), scheduled to mature on December 19, 2016. Kyiv's administration has decided to postpone the repayment of UAH 1.915 billion senior unsecured domestic bonds for another 360 days. The city remains current on the bond's interest payments. "Fitch would expect to classify such an extension as a default in accordance with its distressed debt exchange (DDE) criteria," the statement said. Read alsoFitch: IMF tranche doesn't dispel concerns about Ukraine's reform abilityAccording to the city, the proposal does not involve any write-down of principal, and coupons payable on the bonds will not decrease. Additionally, Kyiv treats this bond as part of intergovernmental relations with the central government, assuming the latter will likely provide funds to repay the bond. Back in 2012, Kyiv was forced to issue the UAH 1.915 billion bond to compensate for the losses accumulated by its utility public-sector entities (PSEs), due to lower tariffs not entirely covering costs. Hence, Fitch says it believes the likelihood that the city will repay the bonds using its own sources is minimal, making the probability of default almost inevitable. "Fitch assesses Kyiv's management as weak. Ukraine's fiscal discipline and long-term financial planning is emerging, while the city's debt management is lacking sophistication and relies on short-term policy options. Additionally, overall oversight over the city's PSEs is weak, leading to reduced control and accumulation of contingent liabilities, which eventually migrate to direct risk for the city," the statement said. Fitch continues to expect Kyiv's finances to remain fragile over the medium term, negatively affecting its financial flexibility. This is due to the overall weakness of sovereign public finances, the reduced predictability of fiscal policy and a very short planning horizon, all exacerbated by the volatile macro-economic environment in Ukraine. Kyiv's fiscal performance improved in 2015-1H16, when its operating margin rose materially to 39% at end-2015 (2014: 21%). This followed reduced operating expenditure, high national inflation (CPI assessed by Fitch was 48.5% in 2015) and a change of fiscal regulation in Ukraine in 2015, which boosted operating revenue annual growth to an average 38% in 2014-2015, from negative 22% in 2013. Recovery prospects for Kyiv's economy remain weak, with minor growth of 1%-2% projected by Fitch for the country's GDP in 2016-2017 (2015: contraction 9.9%). Combined with low wealth metrics by international standards (GPD per capita was US$2,123 in 2015), this leads the rating agency to assess the national economy as weak, constraining the city's ratings. At the same time, Kyiv remains one of the country's wealthiest cities, about 2x outperforming average per capita GRP of the country's regions. The city benefits from its capital status and concentrated nature of Ukraine's economy. Historically the city accounts for more than 20% of the country's GDP. "In our view, Kyiv's contingent risk is high, stemming from liabilities of the city's utility PSEs, which have accumulated payables to suppliers in 2014-2015. The city has issued several guarantees to support projects in transport and housing sector, most of the loans are euro-denominated, exposing the city to forex risk," Fitch said. Fitch would expect to downgrade the city's ratings further to 'RD' (Restricted Default) if the city fails repay the domestic bond at maturity in December 2016. Fitch will review the city's ratings once the debt exchanges are completed and sufficient information is available on Kyiv's credit profile. However, the rating will likely remain low, given high country risks and Ukraine's 'CCC' Country Ceiling. "If the city repays its domestic bond in full at maturity in December without extension, which is unlikely, we could upgrade the rating," Fitch added.